The LLFY partners Osram Opto Semiconductors, Cezos, Mechatronix and LEDiL have created a modular Developer Kit which will help designers to accelerate the testing and development process. The set is based on the market experience as well as market research by the partners and allows for a maximum of flexibility and component variations for the designers. The set can be used as a plug-and-play solution, providing standardized or customizable components. A ready made reference design complements the offer with a standard or customizable horticulture lighting solution by Cezos. Ready-made standard solutions or customizable modules by Cezos: the standard solution is available in different LED colors. It offers four channels for individual control options of the desired weave lengths e.g. required during the different growth phases of plants. With this option greenhouse operators gain a high flexibility and a more efficient support of their plant’s different growth phases as well as a targeted influence on the contained substances and taste of their crop – which ultimately results in cost savings and a higher profit from better produce. 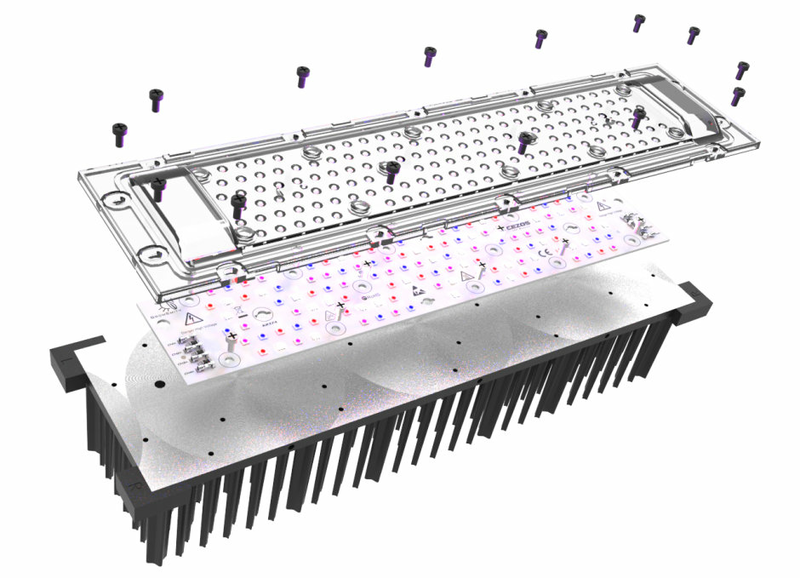 LED options by Osram Opto Semiconductors: optional constellations for all weave-lengths. The reference design features the most commonly used weave lengths (1 x hyper red + 1x far red + 1x deep blue + 1x cool white). 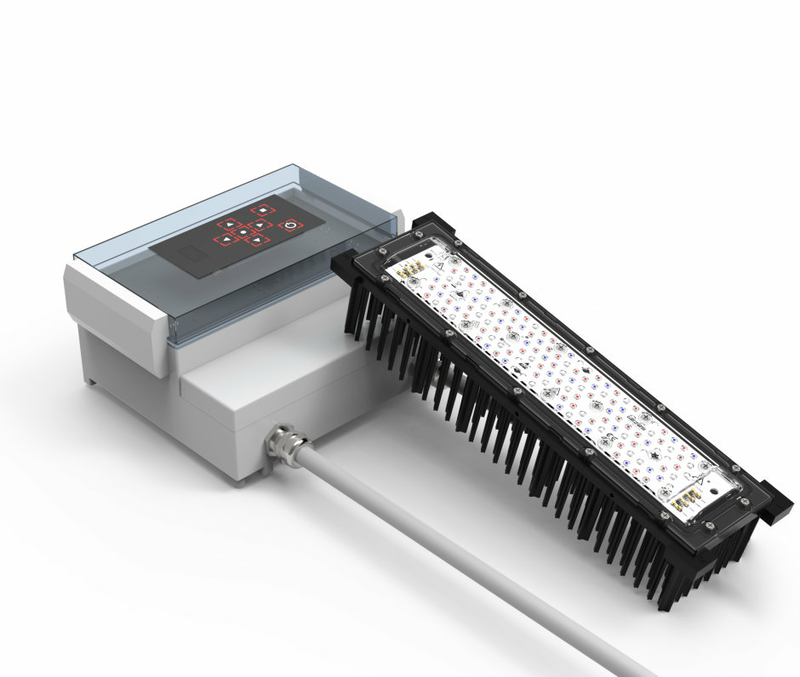 Heat sink unit by Mechatronix: due to the geometric design the unit can be easily expanded both lengthways and crossways and fulfill the IP67 norm. 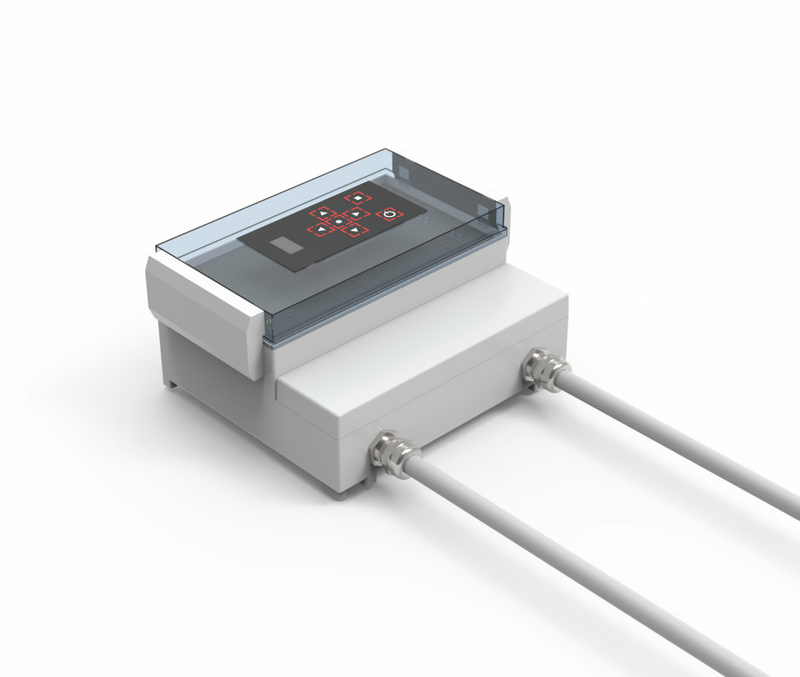 It can be used for both passive and active cooling (via fan or heat pipes). Secondary Optics by LEDiL: available in different radiation characteristics to enable the best options for a highly homogeneous lighting level for different hang points or heights.